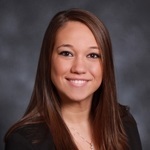 Kristin Harris | Alan E. Peters & Associates, Inc.
Kristin Harris, Client Services Associate, has been with Alan E. Peters & Associates, Inc. since 2008. She is responsible for the processing of all back office details. Kristin manages all account openings and is a direct contact for client requests and issues. In her spare time, Kristin loves spending time with family and friends. She enjoys traveling and going to the beach.